Print bespoke A4 presentation folders on 320gsm or matt card of any shape and size. 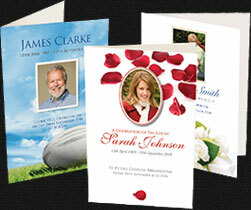 Order online for custom A5 presentation folders on 320gsm or matt card. Folder Printing in UK provides high end folder printing services at reasonable rates. Our services are available in all the major regions of United Kingdom. Our Company’s aim is to provide the best quality products to our clients at affordable rates. We have been in the market for almost a decade & have successfully served numerous clients with precision and innovative vision. For Us, no project is too big or too small and make sure to treat all the projects equally so that there is no compromise with the product quality. With 15+ years of experience , we can assure you that the final product you will receive is accurate and exactly what you had imagined. We fulfill our client’s specifications & create the products requested with the use of best technology. Our dedicated, well trained team knows how to handle their work & has a 100% success rate with the project they start keeping client’s requirements in mind & on time delivery. We always believe in following the time protocols we have committed to our client’s because we know how much it matters and in the end deliver the said product on time. Our relation with our clients speak about our success & how we are always considered as the most recommended & trusted printing firm of London. It is to be noted that our delivery schedules are completely subjected to factors like – weather, customs, labor disruptions or other government inspections or any other reason for delay & so on but we still try to resolve any issues whatsoever to make on time deliveries. The rates we offer for printing services varies from project to project but are way more affordable than our competitors. Our price quotations depend on project duration, level of complexity, priority & other major customization that our clients have in their mind. We assure you that we charge for what we deliver and there are no hidden charges for our printing services so you need not have to worry about any extra charges as there won’t be any. So what are you waiting for? Reach out to us asap and get exciting new offers on your printing orders. Also we will even assist you in strengthening your brand image for maximum client outreach. Custom printed folders are a practical way to keep your business proposals, press kits, company or product literature, conference handouts, etc organized and carry them around without risking cluttering or worse, losing them. When it comes to business folder printing, you have to ensure consistent innovation and creativity along with maintaining cost efficiency and usability. And all the criteria are what we abide by when starting the designing and printing business presentation folders for our clients. Folders of Various Sizes: Presentation Folders, File Folders, Photo Folders, Document Folders, Document Holders, Card Holders, Report Covers and many more. At Printing in UK, you can avail top quality folder printing service at lowest price. Not only do we help you get the logo of your business printed on the folder; but you can also have the folder customized with any design you want. We give you free mock-ups of graphic designs and the prices we quote are the most competitive in the industry. We make it a point to understand your business goals before going through with the designing and printing processes, in order to ensure that we are on the right track. Affordable rates, premium quality and timely delivery - all these have earned us an enviable clientele. These are the principles we adhere to when serving our clients.